Fancy web design is of no use if it is only visually appealing but not user-friendly or functional. Similarly, if web design is user-friendly and functional but not visually appealing, it may lead to increased bounce rates. Average conversion rates can be surprisingly low. A poorly designed website fails to retain visitors on the landing pages, leading to fewer conversions and no returning customers. We can break down web design into visual design and usability. Users can leave your landing pages with a single click of the mouse which is why designers stick to user-centric web designs for profit oriented, maximum conversions. Effective web design is focused on the characteristics and needs of users. A majority of users hunt for unique content pieces of their interest. If a large part of your web design does not cater to the users’ needs and desires, chances are that users will ‘bounce’ from your website. To make your web design more engaging, it is necessary to maintain a golden ratio/balance between visual appeal and functionality of your website. Visitors arriving on your landing pages seek innovation, not only in your products or services, but also in your web design. Therefore, we cannot use a one-rule-fits-all solution for designing the website. Each web page has its own demands and requirements and it is also important that each page matches your brand persona. If you are looking for some techniques to improve your web design which can be used for all types of niche businesses and websites, the following information should help. The era of gradient web designing is long gone. Today, the visual weight of your website depends on the source and characteristics of your audience. Therefore, the visual appeal of a website is based on its overall appearance and content. The standard rule for higher clickability is to place important content on the home page. When we talk about primary content, we refer to the content that directly caters to the needs and desires of your audiences. Good web design involves usability, user-friendliness and content that meets the needs of visitors. This is why designing a website can be difficult, especially for new businesses and inexperienced designers. A professional web designer understands user needs and knows how to enhance the impact of content on visitors arriving at the landing pages. Using professional web design and development services will significantly help to make your website more clickable. Five factors, including the position of the content, colour and contrast, font, size and graphic design elements contribute to improving your website’s clickability. Do you design in-house or do you outsource your work? Can you build 100% responsive web designs? Will you keep me updated throughout the design process? What is the estimated time for finishing my project? Will you give me access to web design files for internal use? Do you have references or samples of your work? Do you know that overcrowding your web design with content can leave visitors frustrated? There are three types of spacing techniques used in web design including white spacing, line spacing and padding. White spacing does not refer to leaving empty spaces in your web design. Instead, it refers to creating a balanced and neat look on your page by using uniform colour themes, pictures and designs. Padding is the spacing between text, pictures, graphics and other content. As a general rule, you should always leave some space between your content. Line spacing refers to leaving spaces between your text content to improve readability. Line spacing differs throughout your website, depending upon the desired emphasis availability of space, etc. You can improve the navigation and usability of your web design by improving clarity and making the content consistent/connected. Use simple, straightforward and clear call-to-actions as well as understandable buttons and symbols/pictures. In small web designs, use the rollover sub-menu technique and for larger websites, use techniques such as ‘breadcrumb trails’ for improving your website’s navigation. 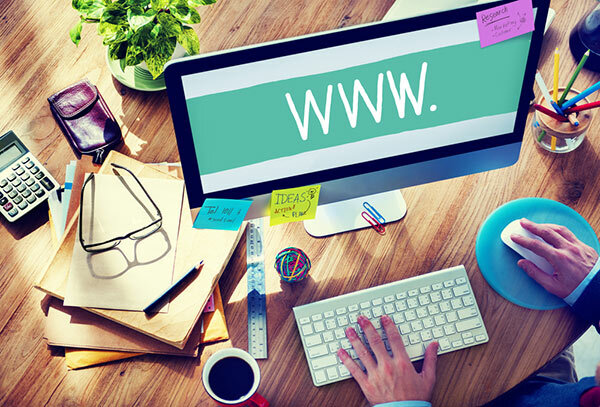 An effective and functional web design reflects the quality of your brand/business. Therefore, many businesses hire professional web designers for designing and managing their website. Previous: How Influencer Marketing Experts Can Promote Your Brand?